NextHot Flashes and Sleep: Can Paroxetine Help? If you struggle with insomnia, chances are your sleep is not very efficient. You may toss and turn a long time before actually falling asleep, or awaken several times at night. You may wake up at 3 a.m. and not be able to get back to sleep. Researchers have found that restricting sleep—or, more accurately, restricting time in bed—leads to increases in sleep efficiency, quality, and even length. Efficient sleep tends to be deeper and more satisfying. You wake up feeling more refreshed in the morning. Right now you may not be sleeping very well. But if you build up sufficient sleep drive, the urge to sleep becomes so powerful that you can’t resist. 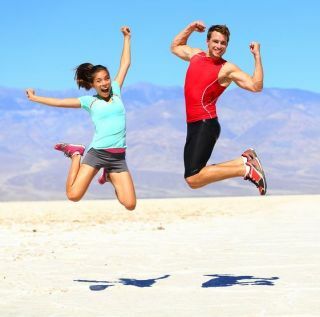 The goal of sleep restriction is to enable a daily build-up of sleep drive that puts you to sleep more quickly and keeps you asleep longer—night after night. Have realistic expectations. 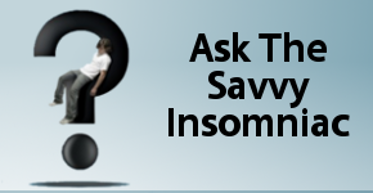 Sleep restriction is not an overnight fix for insomnia. In fact your sleep may get worse before it gets better, and you may feel logy in the daytime, especially during the first week of therapy. (Don’t worry: this may actually speed the process up.) It’s realistic to expect to see signs that your sleep is improving within a few weeks. Begin by keeping a sleep diary. Diving into sleep restriction without first gathering information about the length and timing of your sleep is a mistake. Sleep ability varies from person to person, and you can’t know how much to restrict your time in bed without first getting a clear picture of how much you’re actually sleeping. Download this sleep diary from the American Academy of Sleep Medicine, and make copies so you can maintain the diary throughout therapy. Keep the diary for a week before starting treatment. Write down when you go to bed and get up in the morning, and how much of that time you’re actually sleeping. At the end of the week, calculate the average amount of time you sleep each night (disregarding for the moment how much time you spend in bed). Make a list of quiet activities you can do at night once therapy begins. Passive activities like watching TV are not as helpful in the early stages as activities with a bit of movement—folding clothes, sorting through old photos, rearranging bookshelves. For more ideas, click here. Establish your initial sleep schedule and stick with it. If you find you sleep an average of 5 ½ hours a night, in Week 1 restrict your time in bed to 5 ½ hours. Decide on a wake-up time and set your alarm for that time every day. Then count backwards 5 ½ hours to set your bedtime. Your sleep schedule could be from 12:30 a.m. to 6 a.m., or it could be from 10:30 p.m. to 4 a.m. Whichever one you choose, stick with it, staying up until your chosen bedtime and getting out of bed when the alarm rings. If you drift off early or if you oversleep your alarm, this will lessen the accumulation of sleep drive and retard your progress. Avoid looking at the clock at night. Clock-watching tends to arouse anxiety in people with insomnia. Once your bedtime arrives, turn all clocks to the wall. If you can’t sleep, go to another room and do something quiet until you feel sleepy. But don’t look at the clock! In the morning when you’re filling out your sleep diary, estimate the time you were awake. Calculate your sleep efficiency at the end of the week and set your sleep schedule for the following week. (See this blog for how make the calculation and reset the sleep schedule.) Continue the process for as many weeks as it takes to establish a solid sleep pattern and maintain a sleep efficiency of at least 85%. Once you’ve found your ideal sleep schedule, observe that schedule night after night. Most important is getting up at the same time every morning (and resisting the urge to nap). This will prime you for sleep when bedtime rolls around and stabilize the sleep you get. 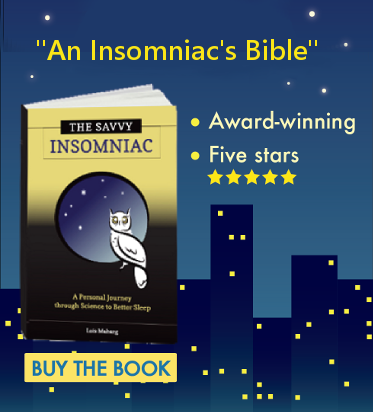 For more detailed guidance with sleep restriction therapy, see chapter 8 of THE SAVVY INSOMNIAC.